Peugeot: 201 & 301 brochure. 5 fold-out colour plates and other illustrations; 16 pages, 130 x 175mm; spirally bound superb Art Deco pictorial wrappers. Category: Motoring. 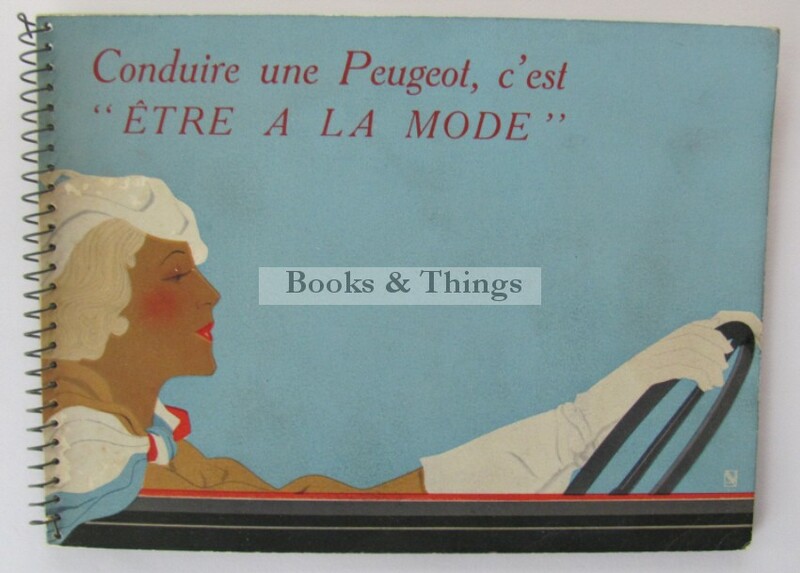 Tags: Peugeot 201 & 301 brochure, Peugeot 201 & 301 brochure for sale.